Virginia Crime Commission Briefed on Marijuana Stats . The state Crime Commission was briefed Monday on the results of a months-long study examining the costs and consequences of marijuana arrests in the Old Dominion. The study found there were more than 133,000 pot possession arrests in the state in the past 10 years, but that relatively few people went to jail for it in the state. The study was prompted by a proposal to decriminalize the possession of small amounts of marijuana. Virginia Senate Majority Leader Will File Decriminalization Bill . State Senate Majority Leader Tommy Norment (R) said Monday he plans to file a bill that would decriminalize small-time pot possession for first offenders. Norment said the bill is still being drafted, but would make first-time possession a civil offense punishable by a fine, mandatory education, and a drivers' license suspension. West Virginia Welfare Drug Testing Program Gets Underway . Under a program that took effect last week, state residents who apply for welfare must now undergo a drug screen questionnaire, with those whose responses are deemed suspicious required to take and pass a drug test. People who fail a drug test will be required to undergo drug treatment at their own expense -- while being denied funds that could help pay for it. 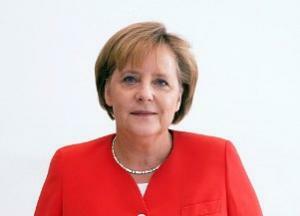 Germany's Merkel May Agree to Marijuana Legalization as Part of Coalition Deal . Reports from German media suggest that Prime Minister Angela Merkel's Christian Democratic Union Party may agree to support marijuana legalization as part of an effort to form a coalition government with two parties that want to free the weed, the Free Democrats and the Greens. Marijuana policy would be addressed at the end of coalition talks, the reports said.